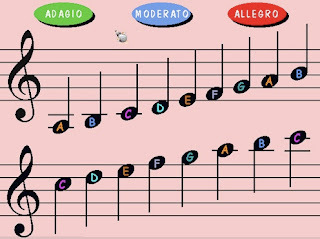 Treble Clef and Bass Clef is a very cool program to teach your students, in a fun and easy way, how to read music notes on the staff in both treble clef and bass clef. It is a shareware, which means you can download a demo version, but you will not be able to access all the notes. You can pay a small fee to access the other notes. This program works well with Windows Vista, XP, Me, 98, 95, NT or 2000, but doesn't work under Mac OS X. This program is part of a collection of programs to learn music through games published by Happy Note! The art of music was very interesting to seek in this field.Just men intrest leads him to the top piont. November 26, 2011 at 5:21 a.m.